Arrival at Cuiabá airport or pick up at hotel and transfer to your first ecosystem: Savanna. Passing by impressive rock formation sculpted over million years by the wind, stunning scenario for observation. 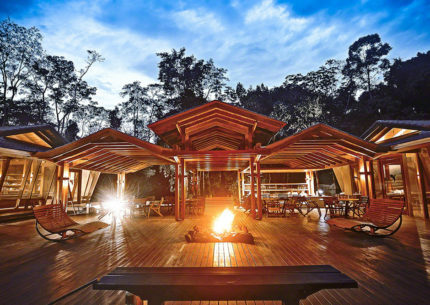 By the end of the day check-in at the charming Park Eco Lodge. Dinner and overnight. Departure after breakfast to the Cuiabá Airport, for the check-in to Alta Floresta. TRIP flight at 12:30pm (local time). Upon arrival, welcome drink at Floresta Amazônia Hotel. Transfer to Cristalino Jungle Lodge right after. Check in and accommodation. Dinner followed by local fauna and flora slide shows. Library and maps available for guests. Overnight. Canopy tower before breakfast. Walk at the Caja Trail. Swimming before Lunch. In the afternoon, motor boat up river, hiking the Serra Trail and watching the sunset. Candlelight farewell dinner by the campfire. Breakfast. 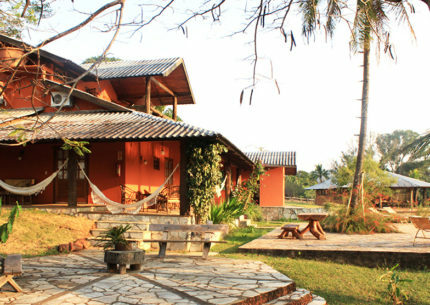 Today we are headed to Pantanal, Araras Eco Lodge. 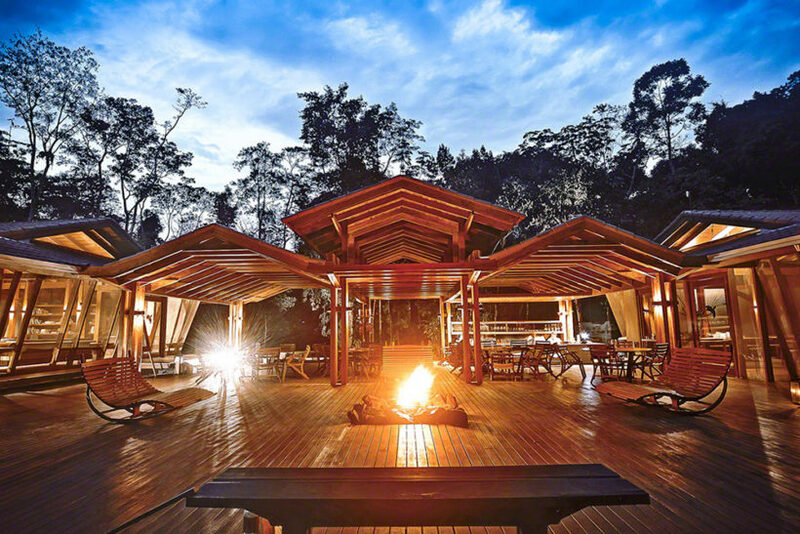 Departure from Cristalino and lunch at the Floresta Amazonica Hotel. Flight to Cuiabá airport departing at 2h15pm and arriving in Cuiabá at 3h30pm. Upon arrival, Meeting and greeting After a briefing on your trip, departure to Araras Eco Lodge. This transfer is divided into two different stages. The first is a journey on a paved road along farms and cattle ranches. After reaching Poconé – a small mining town and the gateway to the Northern Pantanal, we take the Transpantaneira Park Road at km “0” (108 km / 67.1 mi. from Cuiaba). 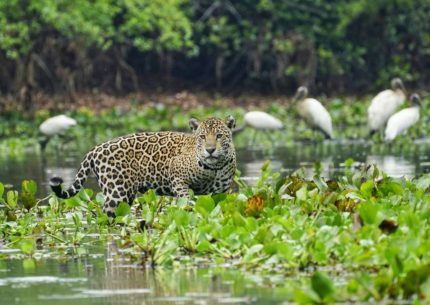 This is a park road at its best, allowing us to drive above the water level, watching the flora and fauna of the Pantanal ecosystem – a photo safari along 32 km of dirt road with several stops along the way for photos and information. Arrival at the Loge, welcome drink and accommodation. Dinner followed by a night walk. Return to the Lodge in time for an introductory walk through the surroundings of the lodge to know our concepts and our many preservation projects. Returning in time for the afternoon tea. Later on, trek the Howler Monkey trail to the Howler Monkey Tower, our highest observation point – 25 m high -, for a magnificent view of the sunset. After dinner, join a night truck safari drive in search of nocturnal animals. 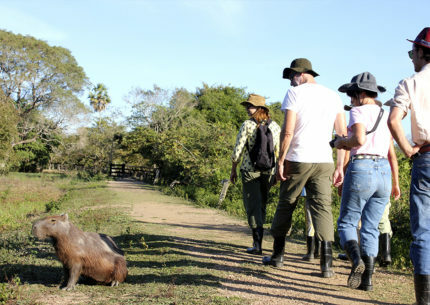 After breakfast, enjoy a horseback ride, which will allow you to explore the diversity of the Pantanal landscape including some flooded areas of the Pantanal plain. The Pantaneiro horse are docile and has adapted, through the centuries, to eat with its nose underwater. In this region, the horse is the Pantaneiros’ best friend, a daily companion during work and leisure. Return to the lodge for lunch. In the afternoon, trek at the Rondon Trail towards the 13 m high Jabiru Stork Tower, where you can watch a Jabiru Stork nest. Return to Araras Eco Lodge for dinner and overnight. 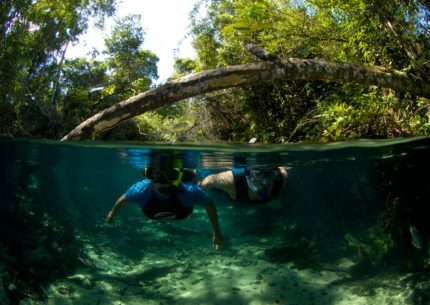 In the morning, breakfast and walk get to know a different area of Araras Private Natural Reserve, by trekking the Ronco trail. After lunch, join a 2 to 3 hour photo safari towards the South of the lodge, on a safari open truck, in search of the fauna along the Transpantaneira Park Road. After dinner, check a list of the wild animals you have seen, with your guide. Jaguar Express extension is available for this program. Consult our reservation. 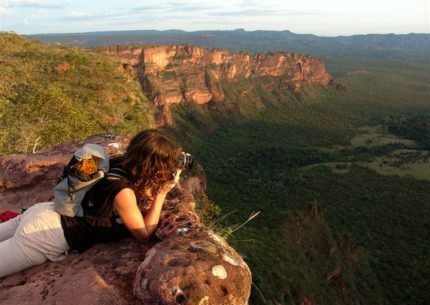 You should reach Mato Grosso State, through Cuiaba Airport. Cuiaba is the capital city of the state and this two ecosystems are within driving distance. Can I join the tour on the day of arrival? This tour departs at 13h20 from Cuiaba Airport. Therefore, you should book a flight arriving at 13h00 the latest. Why do I need to inform you about my arrival schedule? Also, if your flight gets delayed, we will know in advance and will do our best to assure that you may join the tour. I will land at Cuiaba Airport after 13h00. How can we handle it? We suggest you arrive at Cuiaba the previous day. If that is not possible, we may arrange a private transfer at any schedule – supplement applies. Please contact our reservation department. For this tour, each of our naturalist guides will be assigned to small groups of 10 to 12 people, for safety reasons but also so our visitors may deeply enjoy their experience with increased chances of spotting wildlife. The difficulty level of our activities is light to moderate, and considered accessible by most of our visitors. However, some people with walking difficulties may have some issues with some of the activities. If that is your case, please contact our reservations department, for detailed information. A private guide may be a solution. Our activities follow the rules for Safety Management and are monitored through radio. Generally, there is no mobile coverage once you arrive at the lodges. You will be able to access the internet through complimentary wifi at the lodges, in social areas. Most meals are buffet, with various dishes, including vegetarian options. However, if you let us know in advance, we will be able to serve you better. What should I take on this tour? From June to September, at night, temperatures can be as low as 4°C.- 39°F: a sweater or windbreaker may come in handy. Camera, sunglasses, binoculars, pocket flashlight, pocket knife, mosquito repellent, sunscreen lotion, your prescribed medication (including anti-histaminic), batteries and toiletries are some additional tools that may enhance your experience.